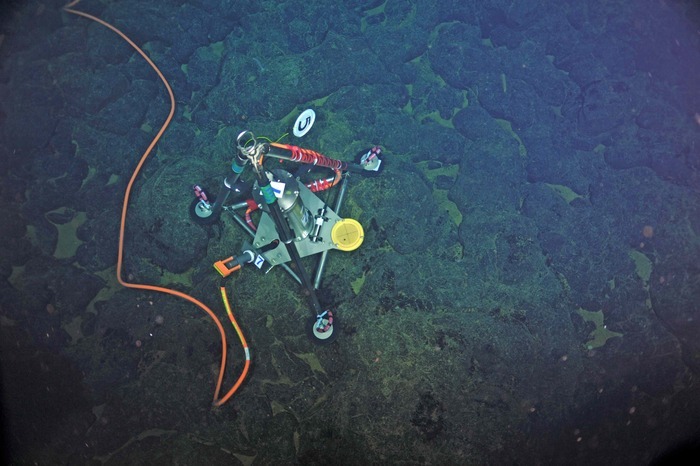 This custom-built precise pressure sensor detects the seafloor’s rise and fall as magma, or molten rock, moves in and out of the underlying magma chamber. Thanks to a set of high-tech instruments installed last summer by a team of scientists, many at the College of the Environment, the deep sea is online and scientists were able to observe the eruption of the Axial Volcano on April 23. About 300 miles offshore from Astoria, Oregon, and one mile deep, the data collected flowed back to the land at the speed of light through fiber optic cable. Last week’s seismic activity, in which the center of the volcanic crater dropped by about six feet in 12 hours, was the first eruption at the Axial Volcano since 2011. The full set of instruments in the deep-sea observatory is scheduled to come online later this year, but it has already given us an entirely new view on how our planet works.